The back is a very important and complex structure that bears much of the body’s weight when sitting, standing, running, lifting and with most other physical activities. It consists of a complex network of bones, muscles, ligaments, tendons, nerves and blood vessels. 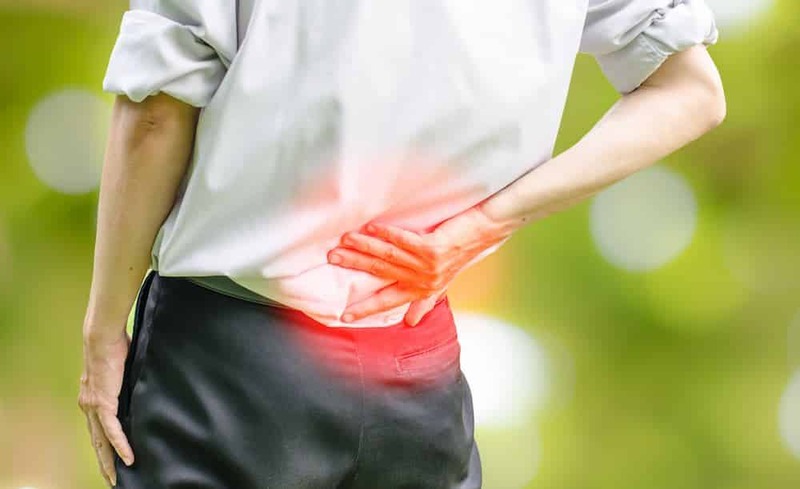 Given its complexity and the nature of the stressors and work load that it is exposed to on a daily basis, it is little wonder that lower back sprains and strains are relatively common. A strain is an injury to either a muscle or tendon while a sprain is an injury to a ligament. With a lumbar sprain/strain injury there is trauma and injury to a combination of muscular, ligament and tendon structures. Lumbar sprain/strain injuries can be the result of a single traumatic incident or an accumulation of chronic stressors to the lower back. While some sprain/strain injuries seem to result from minimal trauma, being overweight, lifting heavy loads, not warming up, having poor core strength and engaging in highly physical sports or activities increases the risk of injury. Symptoms of a strain or sprain can include pain that worsens with movement, swelling, heat in the area, difficulty in moving and muscle spasms. Some people will report a sensation of a pop or tear at the moment of injury.